The dangers of the industrial chemical asbestos were first acknowledged in the early 1900s, but it wasn’t until nearly 100 years later – after relentless campaigning against corporate interests and countless fatalities – that governments finally took action and regulated or outright banned the deadly substance. A new fight against toxic chemicals is mounting, but, just as with asbestos, authorities are rejecting the growing body of evidence. Aerotoxic syndrome, in which flight crew and passengers fall ill after being exposed to toxic chemicals found in engine oil that may contaminate cabin air, has been blamed for symptoms ranging from nausea and dizziness to chronic conditions such as cognitive impairment. The syndrome is thought to be a result of repeated exposure to harmful chemicals. Air enters aircraft through the jet engines, a process known as ‘bleed air’. In this process bleed air contaminants can become mixed in with the air due to failures in the seals within the engines, and this results in fumes or smokes entering the cabin (and is known in the industry as ‘a fume event’). Aerotoxic syndrome is even thought to be potentially fatal – several pilots and cabin crew have died without explanation. British Airways pilot Richard Westgate’s death in 2012 has been under investigation for the last three years. His parents noted that he had been suffering symptoms for years that they said were similar to symptoms of those suffering from multiple sclerosis. Doctors, however, could find nothing wrong with him – they even suggested he might have Munchausen syndrome, a psychological disorder in which patients feign illness to draw attention to themselves or get sympathy from others. Last year, the senior coroner involved in Westgate’s investigation specifically wrote to the Civil Aviation Authority (CAA) to express concern about the possibility that Westgate was poisoned by toxic chemicals leaked into cabin air. “There is a risk that future deaths will occur unless action is taken,” the coroner told the CAA. The investigation into Westgate’s death continues. Unite has taken the lead in the growing campaign urging the airline industry to take action and protect its employees as well as the flying public. In addition to calling for a full public inquiry, Unite is pursuing 60 cases of individuals who have symptoms consistent with the syndrome, and is fighting too on behalf of a deceased cabin crew member Matthew Bass, whose inquest is also pending. Urgency over the dangers that toxic fumes pose is building as more proof about the syndrome comes to light each day. 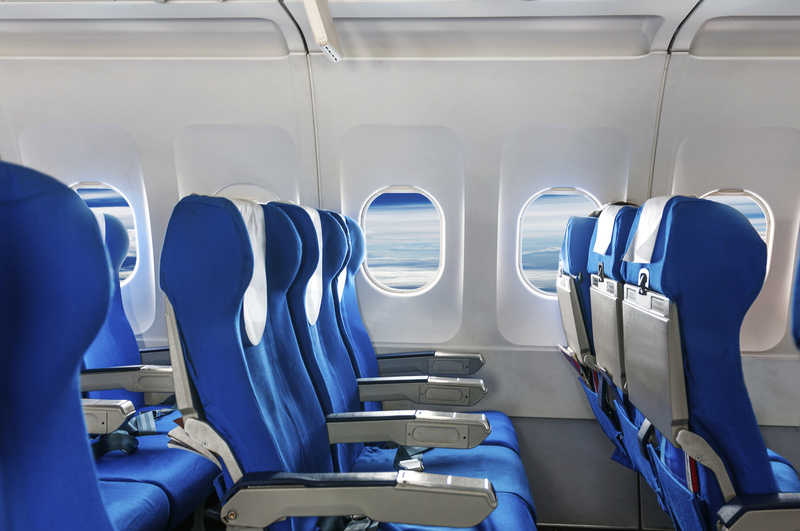 Just last month, two planes were forced to turn back to the UK after cabin crew fell ill. In the most recent incident on January 28, one cabin crew member collapsed and seven others reported extreme dizziness. And only this month, a new German study, which will soon be published, has added to the growing body of evidence that aerotoxic syndrome poses a very real threat to passengers and flight crew alike. In the study, 140 patients who had reported symptoms consistent with aerotoxic syndrome, mostly cabin crew, were tested by scientists. Volatile Organic Compounds (VOCs) were found in their systems, which are known to be harmful to the human body. The more commonly known organophosphates were also found in the patients’ urine and blood samples. A Unite cabin crew rep called the industry’s response to the threat that aerotoxic syndrome may pose “disgraceful”. The Unite rep pointed to a 2007 memo from a Boeing engineer concerned about toxic air that was leaked in 2014. While aerotoxic syndrome is the most pressing concern for cabin crew members because so little is known about the potential risks, Unite is also launching a broader cabin crew health survey inconjunction with Harvard University, in order to better understand the overall health risks of working in the industry. It aims to be the largest study of cabin crew/flight attendant health ever. The Unite cabin crew rep UNITElive spoke to said the study would be “the next big thing” in occupational health advances for cabin crew. Unite urges members to complete the survey, including retirees and near-retirees, before March 7. All submissions will be completely confidential – find out more here.